The automotive HMI market in Europe is projected to register an accelerated growth with a CAGR of over 13% during the forecast period. An increase in the production of passenger cars and commercial vehicles is expected to fuel the demand for integrated infotainment systems that provide information and entertainment for an enhanced, in-vehicle experience. Another driving factor is the increasing demand for autonomous cars that compels the automakers to invest in next-generation technologies such as gesture recognition, AI, and machine learning to enhance in-vehicle infotainment & communication experiences. 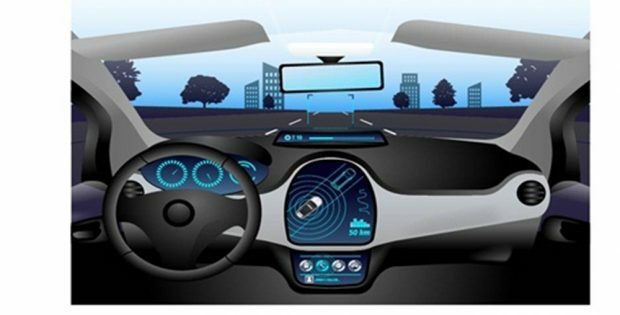 North America is projected to hold automotive human machine interface (HMI) market share of about 20% in 2024 due to an increase in the number of several connected vehicles that are equipped with smart interfaces and advanced technology platforms to improve the overall driving experience. Several benefits including driver assistance and smart traffic control associated with the use of IoT platforms in vehicles will drive the demand for HMI systems. The demand for automotive HMI is expected to increase over the forecast timeline as a majority of the vendors in this region are introducing new technology-enabled platforms for the vehicles to enhance the inter & intra-vehicular communication. The factors driving the automotive HMI market growth include the growing demand for smart vehicles that have integrated infotainment systems, which provide a combination of information and entertainment for an enhanced user experience. The widespread use of Advanced Driving Assistance Systems (ADAS) to enable better fleet management and ensure vehicle and driver safety will also propel the automotive human machine interface industry growth. Another factor augmenting the market growth is the shifting consumer trends toward luxury cars due to a rise in the disposable income. The competition in the automotive HMI market is expected to intensify over the forecast timeline. The market growth is driven by huge investments made by government agencies, automakers, and tech giants in the emerging automotive technologies. The global automakers are expanding their line up by opening new production facilities. They are also entering into strategic partnerships and agreements to develop the next-generation in-car infotainment solutions. Increasing investments by the automakers in Artificial Intelligence (AI) and cloud technology further contribute to the growth of the automotive HMI market. Automotive HMI Market for multimodal interface segment is expected to witness the highest growth with a CAGR of around 20% throughout the forecast timeline. These systems allow users to use more than one mode such as speech, haptic interaction, and visuals at a time to interact with the system, reducing driver distraction. The increasing demand for safety and comfort features in the cars will foster the automotive human machine interface market growth. The rapid demand for major luxury and passenger cars such as BMW, Audi, Volkswagen, and Porsche especially in North America, Asia Pacific, & Middle East regions, the business landscape of automotive human machine interface market is sure to tread along a profitable roadmap in the ensuing years. Given that the expanse of this sphere spans numerous geographies & mammoth participations of industry players, the automotive HMI market will emerge as a lucrative business space for potential investors in the ensuing years.